For anybody, decorating on a budget can be a challenge, but it also can be very rewarding. It will also teach you how to showcase your home. 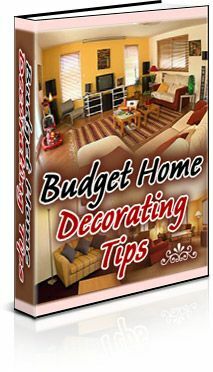 In this book, we will provide great ideas and tips for decorating various rooms within your home without going over budget. Just by adding a few small, but creative and decorative details, you can make any home look like a million dollars. As long as you approach your decorating on a budget creatively, it should not only save you money, but will be fun also.